Buying diamonds is a lot less uncertain than it used to be. Before it became easy to check current diamond prices online, it was necessary to find a reputable dealer. This, in itself, wasn’t always easy. Now, of course, it really is a buyer’s market. We can check a dozen different sites in as many minutes, just with a few mouse clicks. We can see certificates for the diamonds available, and reserve it there and then. If desired, we can even have it delivered within 24 hours. All without leaving the house. Of course, we make it sound easy, but you do need to do a little work. The pricing scale for diamonds can change as the weight increases. Online dealers may even use different pricing structures. So, you want a diamond weighing 0.50ct. What do you need to know? Not so long ago, almost all diamonds were priced according to weight bands. At small weights, the bands may span only very small differences. As the weights got larger, the bands would get progressively wider. Over 1ct, they might be priced in bands of 0.25ct, over 2.50ct or 3ct, that might widen to 0.50ct. What this meant, is that a 1.10ct may well cost the same as a 1.24ct diamond. A 2dct diamond might have cost the same as a 2.45ct stone, and so on. Savvy buyers would look for diamonds at the top of the band, enabling them to maximize their buying ability. Although many online sellers today use a precise calculation for even small size differences, there are plenty of dealers still using the banding system of pricing. A diamond weighing 0.50ct is a very popular choice for engagement rings. It is large enough to have a presence but avoids the often significant expense of a diamond weighing 1ct or more. The problem is that it sits right on the cusp of where the size : price curve starts to get pretty steep. It’s not a surprise to know that, the larger the diamond, the rarer it will be. Half a carat is something of a breakpoint for the levels of supply. Smaller stones are actually pretty common, relatively speaking. But they become less common quite rapidly above the 0.50ct mark. It would be nice if we could all wear absolutely colorless and flawless diamonds big enough to dazzle anybody. The fact is, though, we can’t. Price alone, never mind the availability of such stones, will always be a barrier for most people. And this isn’t just the case at large sizes. A 1ct D color, flawless diamond, assuming one is available, will cost around $13,000. Add another $1-2000 for a setting, and you’re soon north of $15,000. With a 0.50ct diamond of equal quality, the difference is quite marked. Instead of $13,000, you’ll be more likely to pay $3,000. We mentioned the pricing curve earlier, and this is a good example of it in action. If you step down a little in both color and clarity, you can take that $3,000 down to less than $2,000. Unless you are an expert jeweler, with a 10x magnification loupe, you will not see the difference between a D and G color, or a flawless and very slightly included diamond. Being brutally honest, half carat diamonds are not really an investment opportunity, either. So why not use your budget wisely? 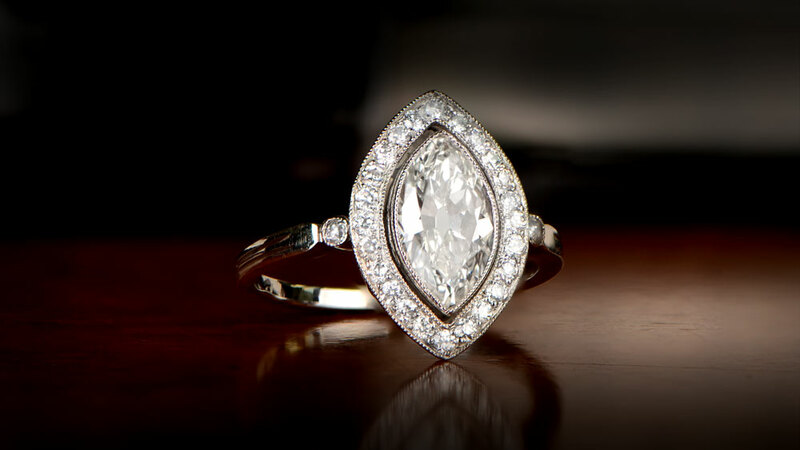 The above makes considering a good, if not exceptional, 0.50ct diamond almost a given. In addition, the actual physical difference from 0.50 to 1ct is surprisingly small. Twice the weight doesn’t mean twice the size. Viewed from above, a well-cut round brilliant diamond is around 6.4-6.5mm. A 0.50ct diamond is around 5.3mm. Simple math tells us that there is barely 1mm between the two, despite the weight difference. Without a 1ct diamond to compare it to, it’s unlikely anybody will know what the weight of your diamond actually is, anyway. You would need to get towards 2ct before the size difference really starts to become noticeable. You do, however, have a third way to go. The precision of modern diamond cutting is actually a pretty recent development. 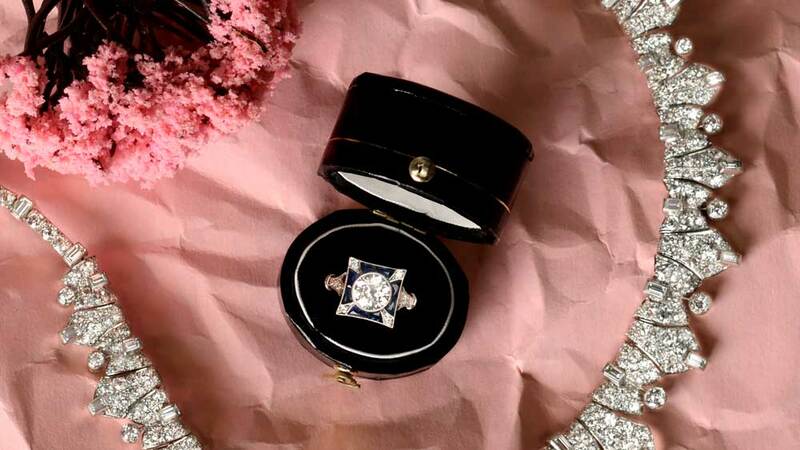 Antique diamonds aren’t quite as symmetrical as their modern equivalent. However, they have a charm, elegance, and history all their own. They also usually offer exceptional value for money. 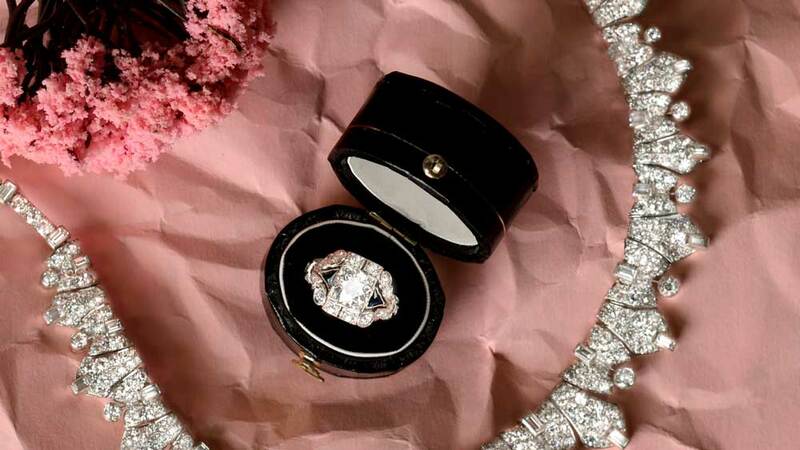 Although large antique diamonds can be an equivalent price to a modern diamond, buying an antique ring with a smaller diamond can be very cost effective. It also usually means you will be getting a unique ring. Antique rings have survived because of the care they’ve been afforded for 100 years. Not many rings survive that long, so you will be getting a one-of-a-kind engagement ring. Whatever you choose, don’t automatically fall for the seduction of a 1ct diamond, when its pretty, more-petite friend has everything you need.